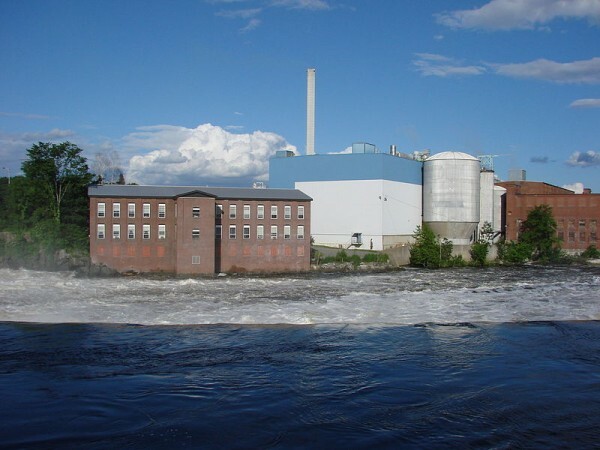 MADISON, Maine — By this fall, the UPM Madison paper mill will abandon oil for natural gas, making it more competitive in the global market, according to the mill’s manager. UPM Madison has signed a deal with Summit Natural Gas of Maine for the latter to supply natural gas to the mill. Summit, which issued a news release on Wednesday about the Madison deal, is in the process of building its natural gas transmission system between Richmond, Madison and Skowhegan. The company said it will have the infrastructure in place to begin providing natural gas to the paper mill and its other customers by the fall. The mill has been waiting for such as opportunity for a long time, according to Russ Drechsel, manager of the UPM Madison mill, which produces 220,000 tons of paper a year and employs about 240 people. “I would say, in reality, we have been considering natural gas since 1985,” Drechsel told the Bangor Daily News on Wednesday. That may be a slight exaggeration, but Drechsel said the mill has been considering the use of natural gas since at least 1998, when construction on the Maritimes & Northeast Pipeline began. The Maritimes & Northeast Pipeline carries natural gas from offshore facilities in Nova Scotia south through Maine. The mill’s primary fuel source is oil, Drechsel said. But the mill invested in the equipment needed to burn natural gas two years ago. It has been receiving shipments of liquefied natural gas by truck since last November, Drechsel. Drechsel wouldn’t say how much the conversion to natural gas would save the mill, but said it would reduce its energy costs. “It makes us much more competitive on an international basis by lowering our costs, and that helps provide long-term viability for the facility,” he said. It’s crucial the mill remain competitive, especially given the government-subsidized restart last fall of the Port Hawkesbury paper mill in Nova Scotia, which produces the same type of paper as the UPM Madison mill. The Office of the U.S. Trade Representative said in October that it was investigating the subsidies. Drechsel said the investigation is underway, but hasn’t been completed.